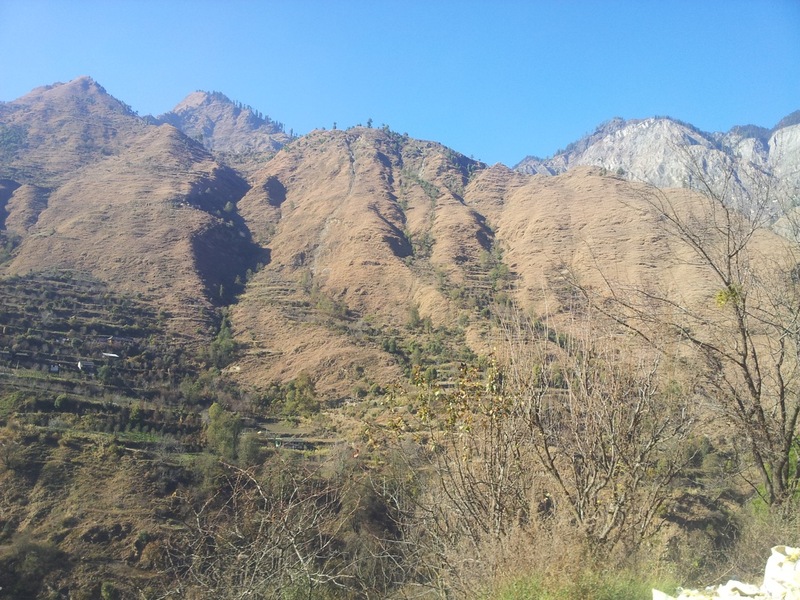 I had a few hours in Manali before I could catch a bus towards Kasol. I decided to make some good use of the time. I visited the Monastery at the Mall road. 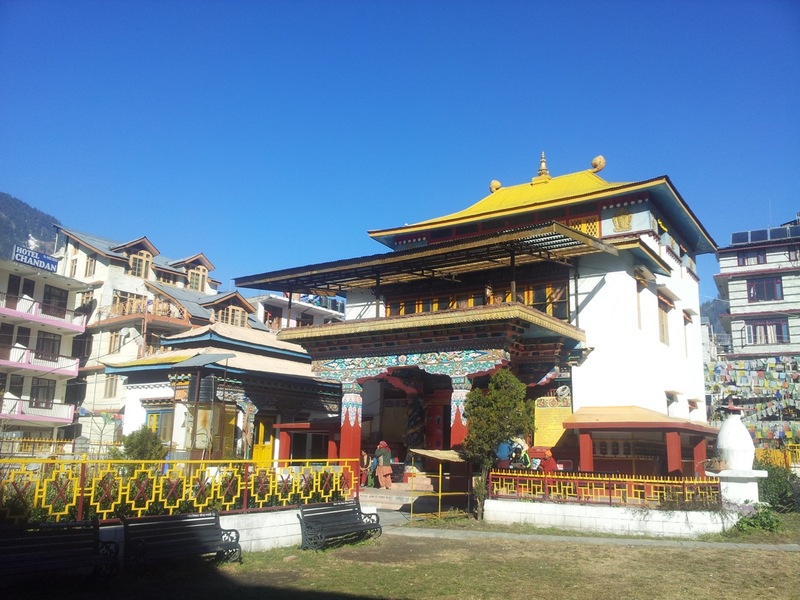 The Himalayan Buddhist Monastery. A Bengali guy runs the lodging inside the monastery. He has put up signboards in Bengali all around the place. 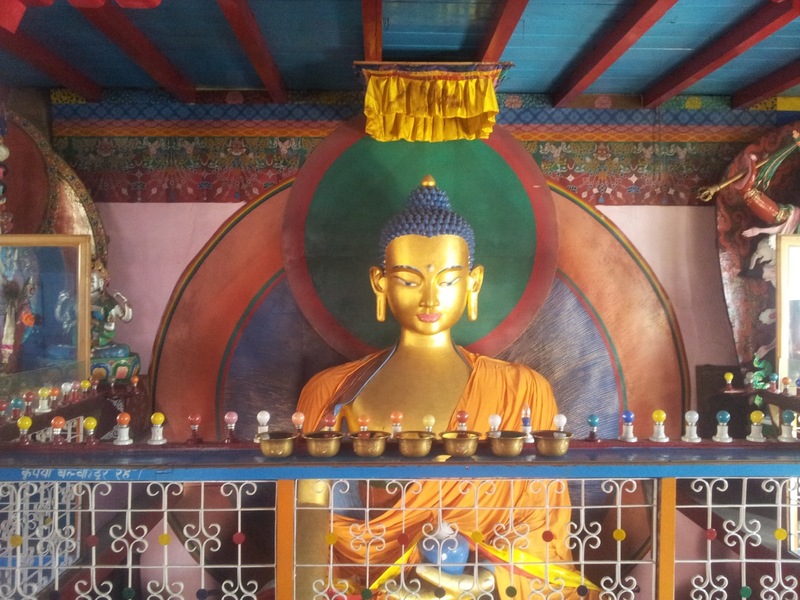 The Buddha idol inside the monastery. 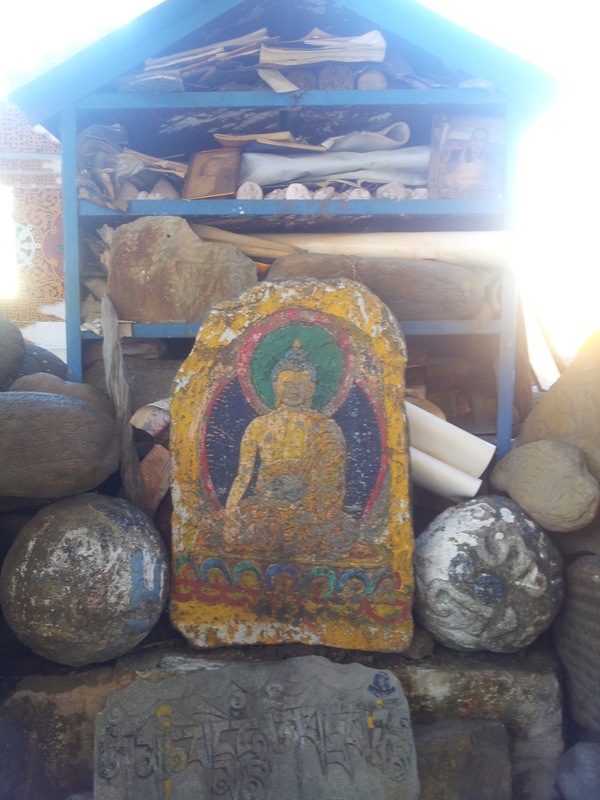 A Buddha idol painted on a stone slab. 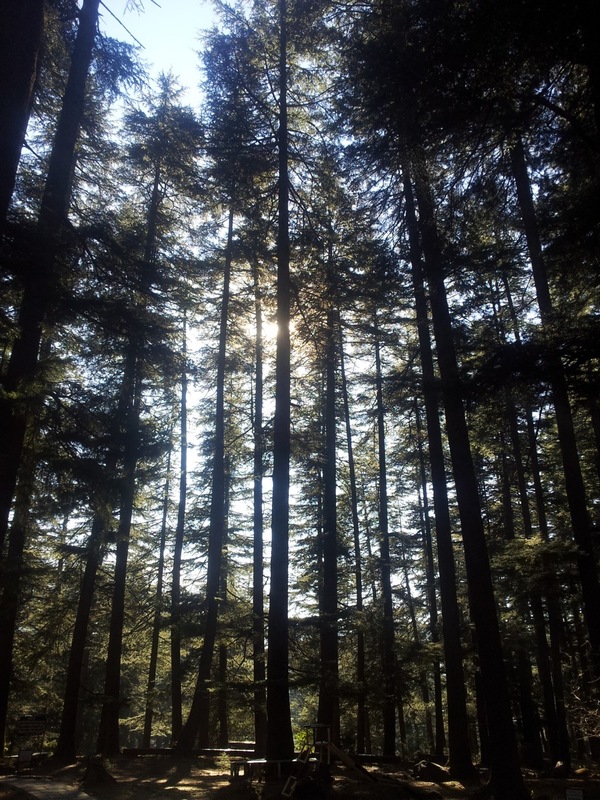 I also visited the pine forest (Van Vihar) from where I had returned yesterday due to the gates being closed. 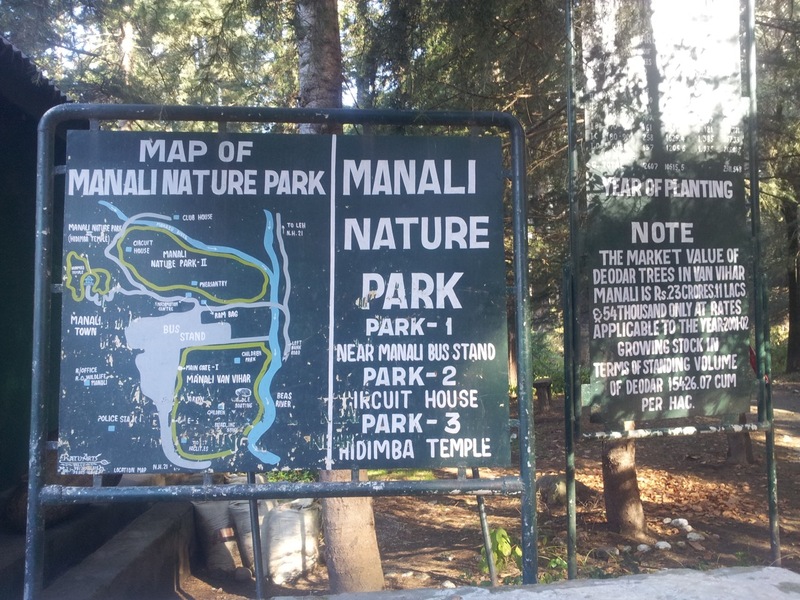 I got to know that I had walked beside park 2 and went through park 3 of the Manali Nature Park to reach Hidimba temple yesterday. It was too dark for me to notice that. Cedar (Deodar) trees inside Van Vihar. The owner of my hotel offered me a free ride to Kullu with the baboons. I gladly refused. Yesterday, they wanted to ski on slopes, where in their own words ‘(they) had only 10% chance of survival’. Judging by the way they were handling themselves, that place would have been a flat piece of land with half an inch of snow. Today they were headed towards Kullu for white water rafting. If they wanted only 10% chances of survival, I would suggest the still waters inside Manali’s Van Vihar would be sufficient. 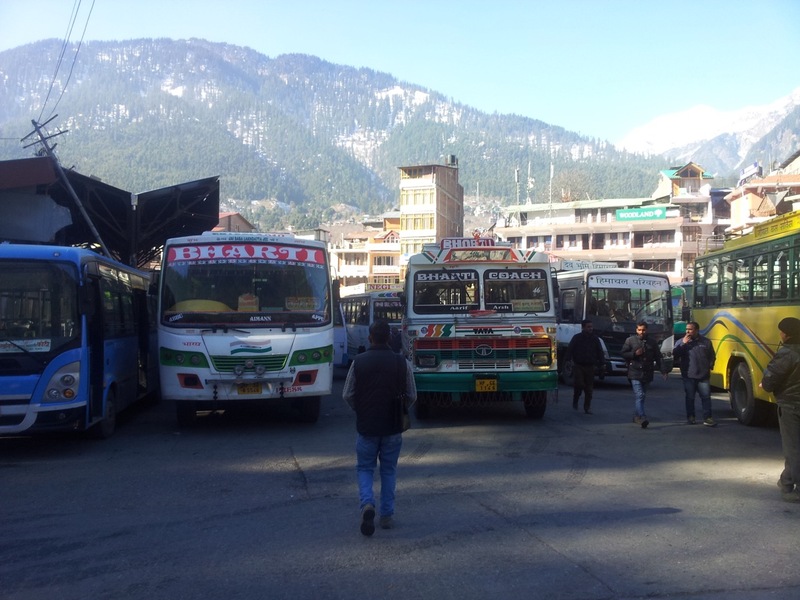 Manali bus stand with the great Himalayas in the background. I rejected the hotel owner’s offer and went straight to this place. The snow uphill was melting. 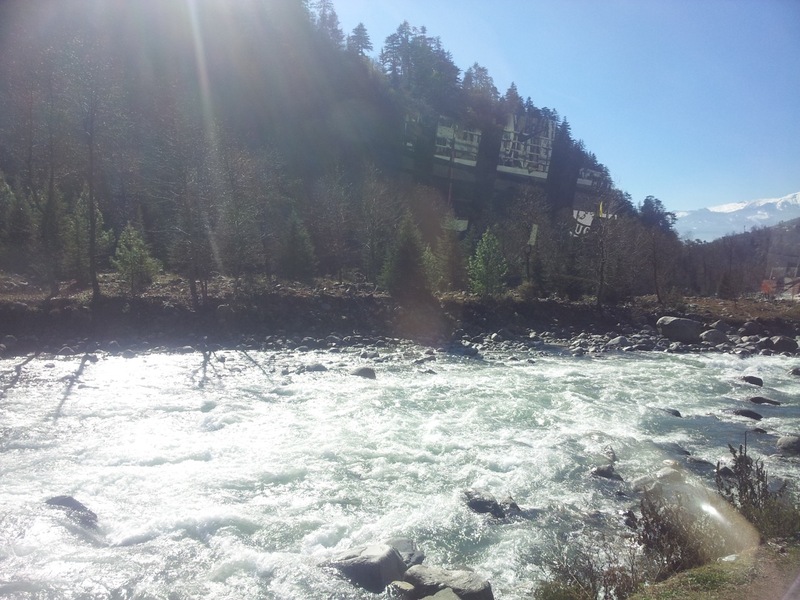 It increased the flow of Beas river. For sure, the baboons cannot raft in these waters. I had to change the bus twice to reach Kasol. Once at Kullu and the second time at Bhuntar. The rocks and the vegetation changed as the bus turned into Parvati Valley (Manikaran road) from Bhuntar. The land was dry and almost all greenery had dried up. There was a lot of dust in the air. The barren rocks of Parvati Valley. Kasol is in a valley. Steep hills border both sides. As a result, it must be receiving sunlight for a very less amount of time. The temperature falls rapidly after 4:30 pm. A shopkeeper said that last year during this time Kasol had experienced snowfall. 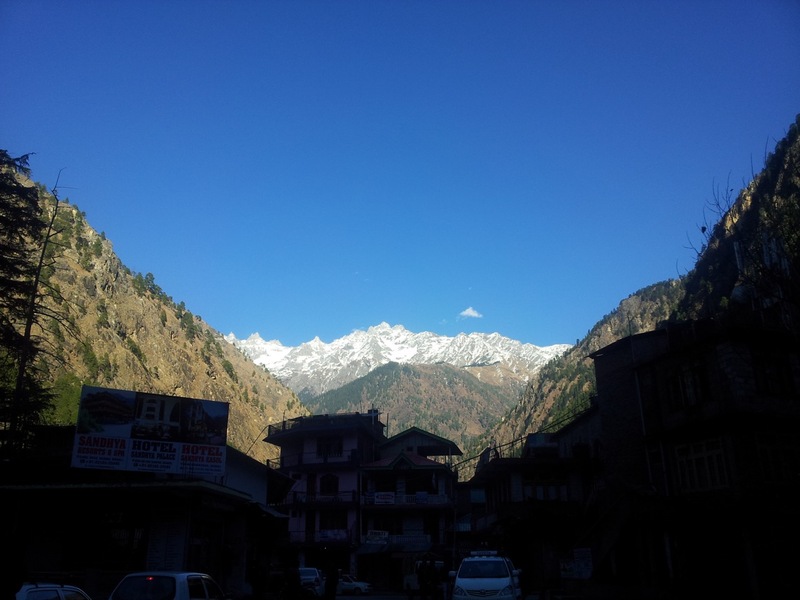 The snow clad Himalayas from the bridge that connects Old and New Kasol. Also, the place is a village. At this point of time, there are very few visitors. Most shops close at 7:30 pm. During the summers most shops remain open till 11:00 pm or more to cater to the tourists. I got a single room for 250 rupees at a place called Purple Lodge. The owner has three rooms which he rents out to backpackers. 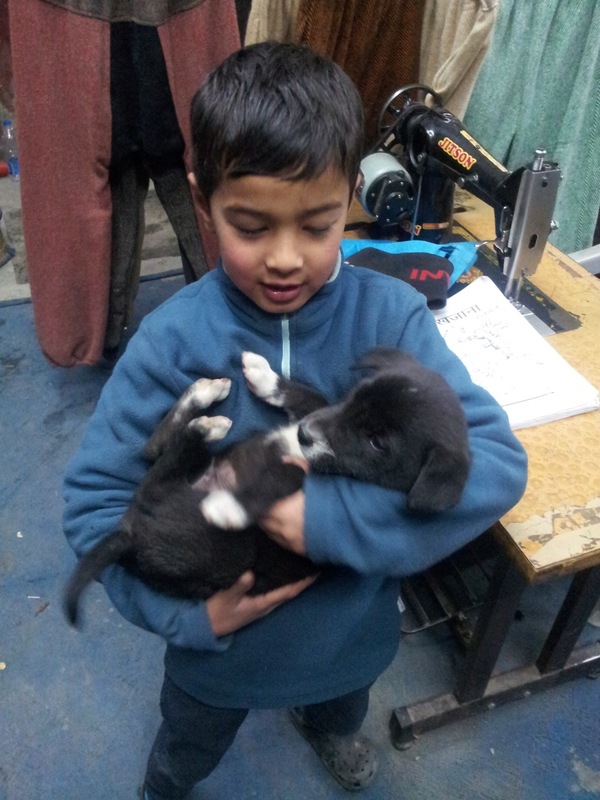 Anubhav, the owner’s son is fond of pups and kittens. 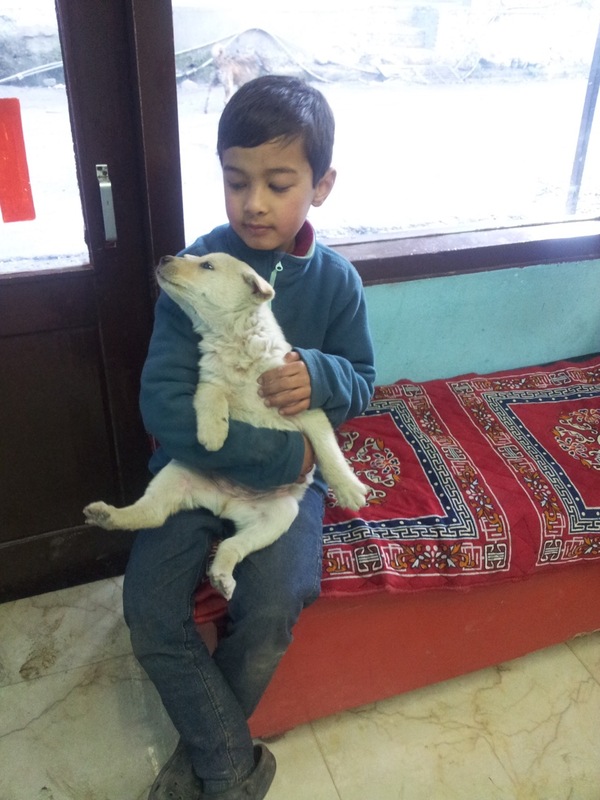 Anubhav playing with a stray puppy. A lot of Israelites come here in search of cheap hash. Here in the valley, it is known by the codename ‘Parvati Cream’. A lot of instruction boards here are in Hebrew. You know that you are in mini-Israel when only the name of the shop is in English and everything else is in Hebrew. 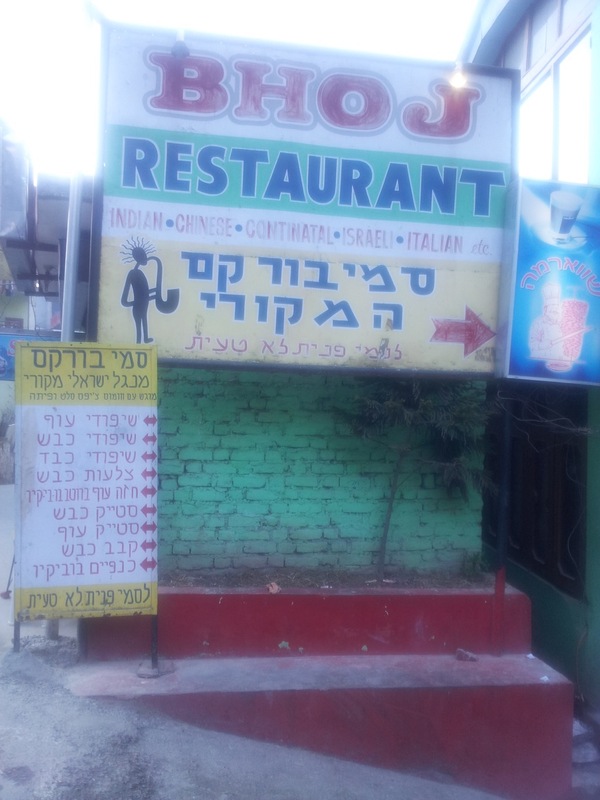 Most instructions and menus are in Hebrew. A lot of Israelites come here in summer.